Cheap Hotels in Israel does not mean low quality . We have evaluated many and come up with a “short list” of 5 of the best deals. Great prices, top reviews from previous guests and great reviews. They are all very nice and listed according to location. 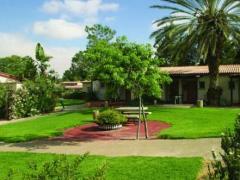 Kibbutz Hagoshrim, 3 km from Hurshat Tal Nature Reserve, and a 10-minute drive from the city of Kiryat Shmona. The Sea of Galilee is 40 minutes by car. Hagoshrim Kibbutz & Resort Hotel serves an Israeli buffet breakfast daily in the dining room. On site you will also find a restaurant, a souvenir shop, and free private parking. Free access to the Spa and Fitness Center. 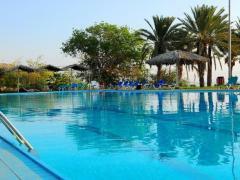 Ein Gedi Kibbutz Hotel offers a great location, just a 5-minute drive from the Dead Sea. Free entrance is available to Ein Gedi’s private beach and the nearby spa’s mineral pools. The hotel features beautiful views of the surrounding streams, hills, desert, and lake. The outdoor swimming pool is free and open from April to November. There is an excellent restaurant on site. At Dizengoff Sea Residence you will stay in well-equipped suites 3 minutes’ walk from Tel Aviv’s beaches. Free Wi-Fi. All suites newly renovated, air conditioned and are equipped with full kitchenettes, a microwave, fridge, kettle and a cable TV. Dizengoff Sea Residence puts you in the heart of Tel Aviv night life, next to restaurants, bars and the shops at Dizengoff Center mall. 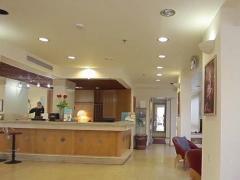 With free WiFi and parking, the Blue Hotel Eilat is 300 meters from the central bus station of Eilat. It offers air-conditioned rooms, a shaded garden, and a terrace with panoramic views.Guests can rent bikes and receive tourist information at reception. Discounts are available on diving, water sports activities and swimming with dolphins. There is also a free internet point in the lobby. 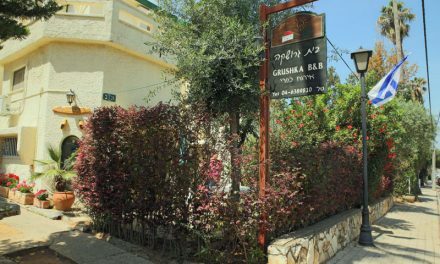 Mashabei Sade Country Lodging offers comfortable and spacious accommodation surrounded by green lawns, in the tranquil settings of a kibbutz. Barbecue facilities and internet are available free of charge for the guests. Located in the Negev region, just 30 minutes south of Beer-Sheva, the kibbutz is a good base for travelers looking to explore the region.